Taking the time to research Chapter 7 and/or Chapter 13 bankruptcy is an essential first step to ensure that it is the right choice for you. Both come with many pros and cons — all aimed at removing your debt and putting you back on the right track with your finances. And while both options are viable ways to do that, there do exist alternatives to filing for bankruptcy. Of course, these are not for everyone, and again, it is important to do your research and figure out what would work best for you. Credit/Debt Counseling – this is a great alternative for those who do not feel confident negotiating with creditors or collectors on their own. You can seek help from a nonprofit credit or debt counseling agency, which work with you to help repay your debts. Participating in a debt or credit counseling agencies debt management program is almost the same as filing for Chapter 13 bankruptcy. It will help you come up with a plan to pay your creditors over time and — unlike Chapter 13 — no bankruptcy will appear on your credit record. However, if you miss a payment any one creditor can pull the plug on your plan. 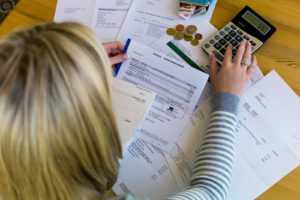 Also, using a debt management program usually requires you to pay your debts in full as oppose to Chapter 13, which lets you pay a small portion of your unsecured debts. It is also important to note that there are many debt management and debt settlement scams out there. Do your research before signing up for a plan. Negotiate with creditors – another option is to try negotiating with your creditors. If you have assets you are willing to sell or some income, this may be an option worth looking into. It can buy you enough time to get back on your feet or your creditors may agree to settle your debts for less than you owe. Stop creditor harassment – sometimes all you need is to get the creditors harassing you off your back. Filing for bankruptcy might be a little overboard so there are other options you can turn to. Take advantage of the federal and state debt collection laws that are meant to protect you from abusive and harassing debt collector conduct. Do nothing – this one definitely is not for everyone but there are those who are living simply, with little income and property, and look forward to keeping that lifestyle in the future. This means that anyone looking to sue them will not be able to collect because there is nothing that they can legally take. You cannot be thrown in jail for not paying your debts (unless your debt has to do with not paying taxes) and a creditor cannot take away essentials like clothing, personal effects, food, Social Security, etc. If you haven’t got much to lose in the way of assets, then doing nothing might actually be a viable option for moving forward with your debts. Ultimately, the easiest way to figure out what works best for you is to consult with an experienced bankruptcy attorney. Joel R. Spivack is a qualified New Jersey bankruptcy lawyer who is experienced with every aspect of bankruptcy law, and knows what it takes to get you back on track with a solid financial standing. For an initial consultation about your case, contact the Law Offices of Joel R. Spivack today by calling 856-861-6203 or by filling out our convenient online contact form. ← Is There a Benefit to Filing For Bankruptcy Before I File My Taxes?